Enjoy Current Promotions: Get up to $1000 instant booking credit, up to 65% off rack rates, and much more! 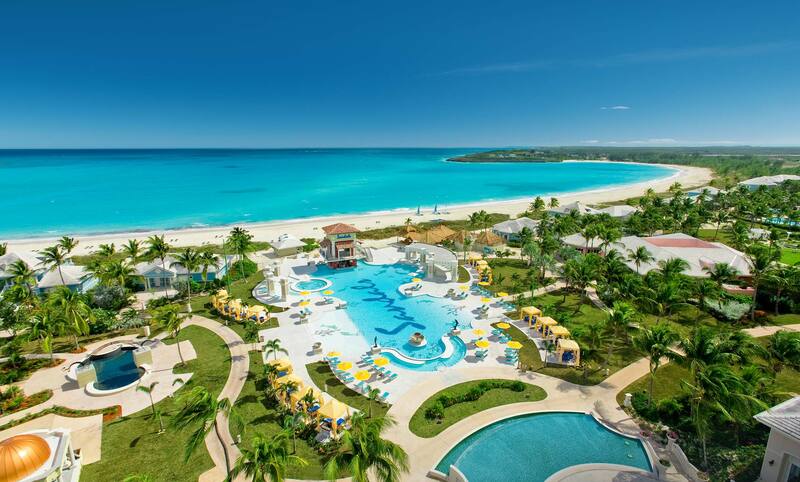 Come experience the very pinnacle of luxury Caribbean all-inclusive vacations at Sandals Resorts. Our luxury resorts, set along the most gorgeous tropical settings and exquisite beaches in Saint Lucia, Jamaica, Antigua, The Bahamas, Grenada and Barbados, feature unlimited gourmet dining, unique bars serving premium spirits and wines, and every land and water sport, including complimentary green fees at our golf resorts and PADI® certified scuba diving at most resorts. If you are planning a wedding, Sandals is the leader in Caribbean destination weddings and honeymoon packages. No other all-inclusive resorts take their rooms and suites so seriously. We have thought of everything to make your accommodations a dreamy romantic retreat. Surrounded by uncompromising comfort and world-class luxuries, you may have trouble deciding what resembles paradise more, our indulging rooms and suites, or our pristine Caribbean beaches. Enjoy all-inclusive luxury vacations at Sandals Caribbean resorts and see for yourself why we offer the most romantic getaways with more quality inclusions than any other luxury beach resort. With gorgeous white-sand beaches, savory dining experiences, opulent accommodations, unlimited refreshing beverages, exciting water sports and more, it's no wonder why so many choose Sandals as their tropical escape. From luxurious accommodations such as the Caribbean's first Over-the-Water Villas to unique dining concepts that bring you a taste of the world – Sandals is constantly innovating the Luxury Included® experience. Discover the latest amenities and accommodations at Sandals and learn why we are continuously voted the World's Leading All-Inclusive Company. For over three decades, we have earned every resort award and accolade in the industry, placing Sandals leagues above any other all–inclusive resort. However, our greatest reward of all is the high level of guest satisfaction we enjoy, inspiring us to continue providing the ultimate vacation experience in the Caribbean. Every Sandals Resort sits on a stunning beach. Find the Sandals that is right for you. Want to Bring the Whole Family? Share the Luxury Included® Vacation Experience with your Family at Beaches Resorts.